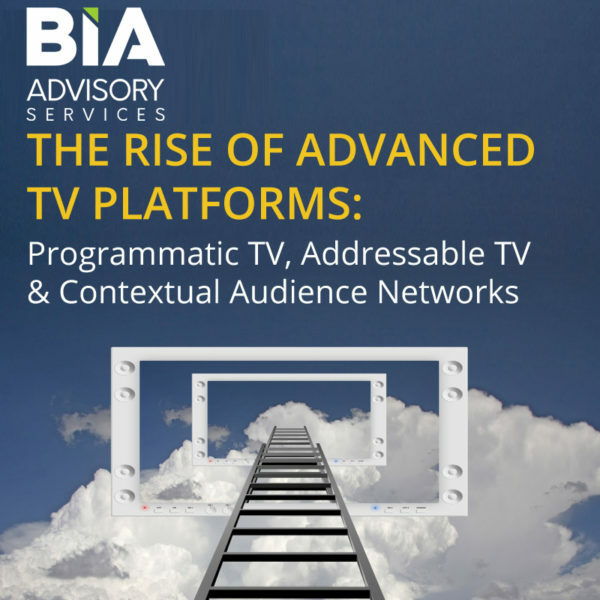 The insight report “The Rise of Advanced TV Platforms: Programmatic TV, Addressable TV and Contextual Audience Networks” examines three different parts of the advanced TV ecosystem: addressable TV, programmatic TV and a grouping this report defines as “contextual audience networks” (CAN). 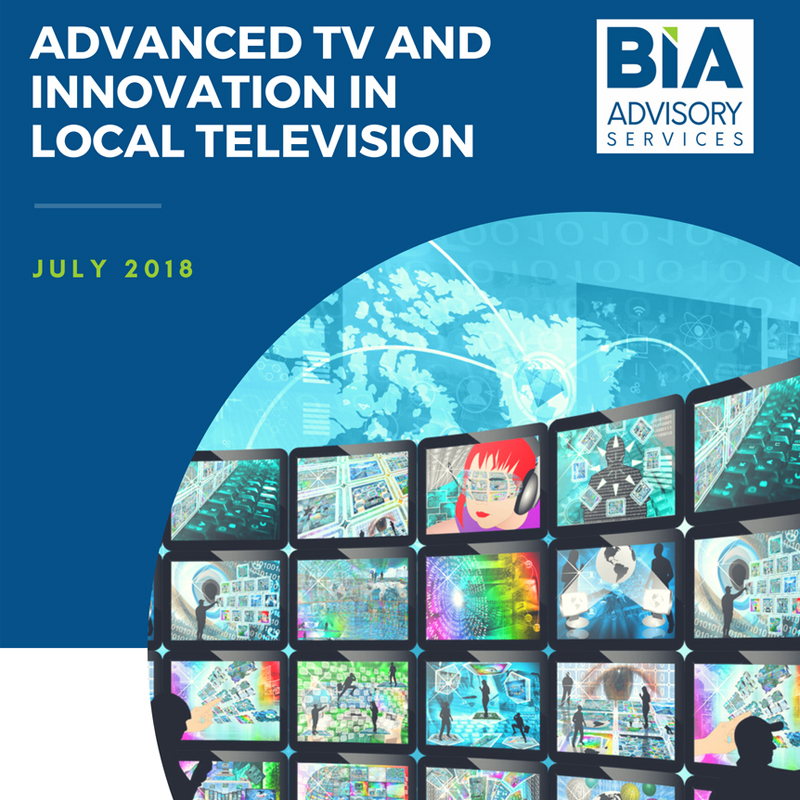 As explained in the report, CAN defines the endeavors by major TV network-owned media companies to utilize advanced data analytics to support the simultaneous sale of their linear TV inventory across all their portfolios. 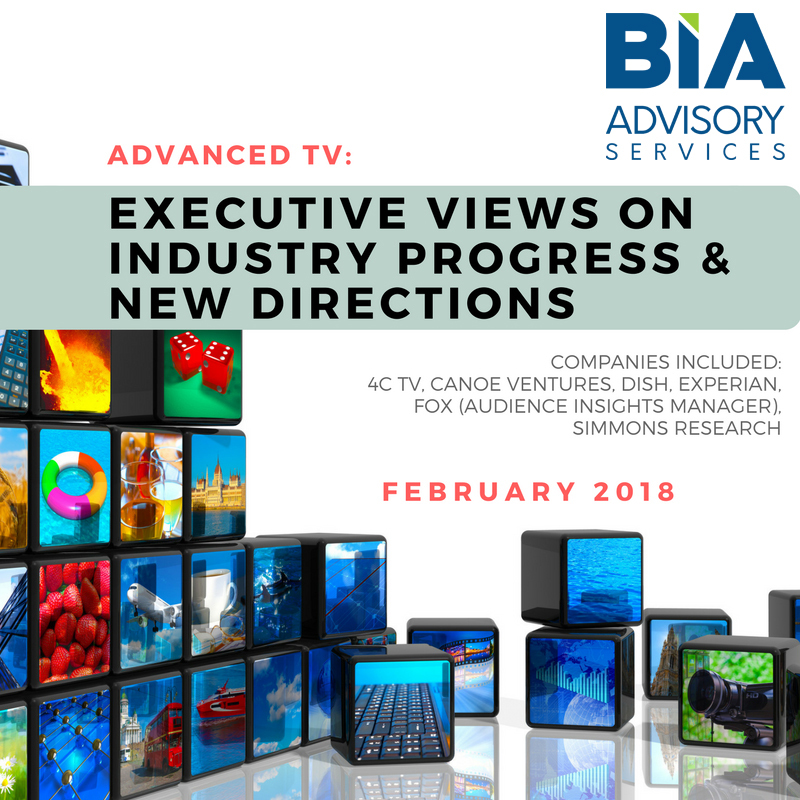 Key elements of the report are exclusive leadership interviews with the following companies: A+E Networks (A+E Precision), AMC Networks, Fox Networks Group (FOX AIM), Simulmedia, SintecMedia, SwellShark and Verizon/AOL Platforms. 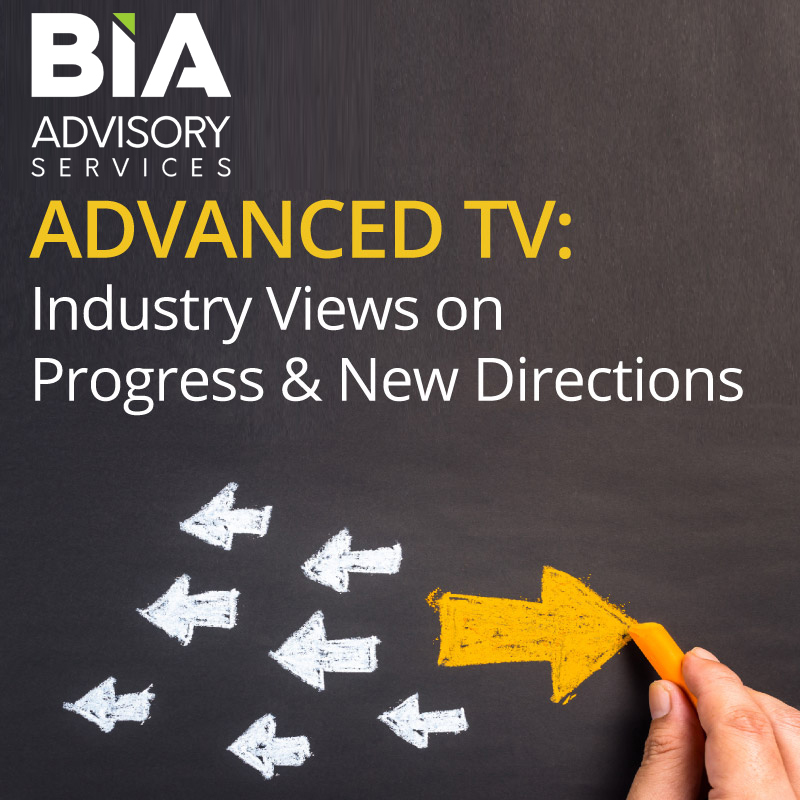 The report’s in-depth review of the advanced TV ecosystem offers assessments on where the industry trend lines are heading. 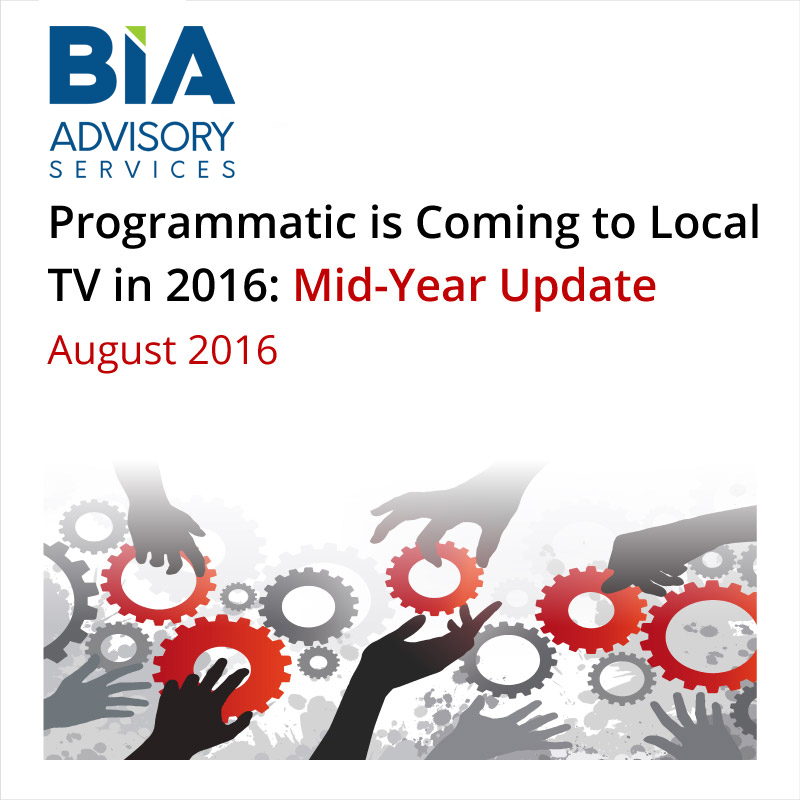 Read this report to understand the growing opportunities and to learn from experts leading the efforts. The fourth in a series of reports examining advanced and programmatic TV, this new report examines three different parts of the advanced TV ecosystem: addressable TV, programmatic TV and a grouping this report defines as “contextual audience networks” (CAN). As profiled in the paper, CAN is defined as endeavors by the major TV network-owned media companies — NBCU, Fox, Discovery, A&E, Viacom and Turner — to utilize advanced data analytics to support the sale of their linear TV inventory across all of their portfolio TV networks in combination rather than individually as they have done in the past. The CAN sale is also supported through a variety of ancillary platforms and devices, including ad-supported video on demand, TV everywhere apps, full episode players, streaming video services and OTT devices.